It's finally here! Our Kickstarter campaign is live right now! Get your copy of PEDIGREE of pedigree by pledging today. This is an “all-or-nothing” campaign. You have between November 1 to 30 to become a backer of the campaign, but the earlier that you pledge, the more momentum it builds, so pledge today if possible. If we make our funding goal of $17,700, the game will be published, your credit card will be charged, and you will get a game in several months. If we don't reach our funding goal, your credit card will not be charged, and the game will not be published. We set the funding goal based on the cost to publish a minimum print run. Step 1: Read through the pledge levels and rewards we're offering in the right sidebar of the Kickstarter page, and then click on your chosen reward level. Once you've backed this project, we encourage you to share this page on social media platforms, such as Facebook, and share with your friends and family. DO YOU WANT MULTIPLE COPIES? If you want more than one copy of PEDIGREE, simply add $49 to your pledge for each additional copy desired. Your shipping will cost $10 regardless of how many games you order. We will not charge any additional shipping, even though it will cost us more to ship multiple copies, as a thank-you and as a "volume discount" for buying more than one copy. For example, including shipping, one copy is $59, two copies are $108, three copies are $157. Thank you all so much for your support on this journey. 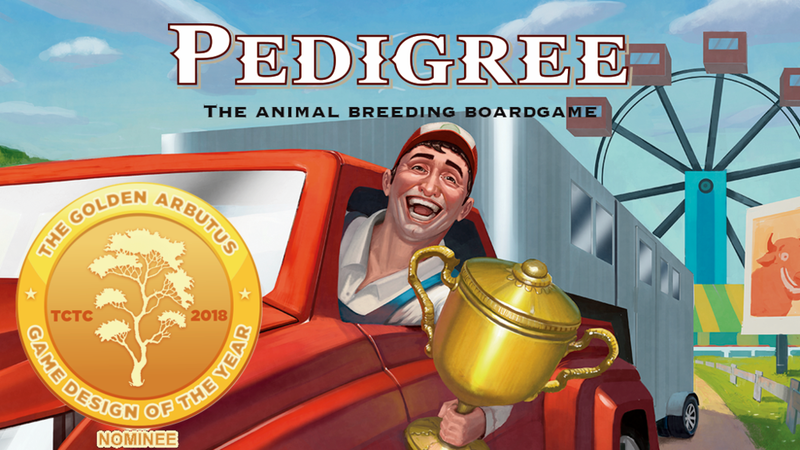 PEDIGREE: The Animal Breeding Board Game launches on Kickstarter.com. Be a Day 1 backer and help bring this game to reality. Be one of the first 100 backers and earn the privilege of naming one of the animals in the published game. The artwork for Pedigree is complete, and the graphic design is on the home stretch and on schedule for a Kickstarter campaign in late August or September. Start spreading the word. Invite your family and friends to subscribe to our email list or like our Facebook page so they don't miss the Kickstarter launch. So welcome to my new website. Please interact by posting comments and signing up for our e-newsletter.